Microsoft has been busy trying to show us what the HoloLens can do lately, especially in the field of science. The company recently released a video with the untethered headset in action at a university where students want to use it to study medicine. Shifting the anatomical systems to see each one side-by-side for better visual aid opposed to reading it on the page or dissecting a cadaver was noted as a highlight of the HoloLens. The faculty members in the video also expressed interest in using the augmented reality device for art history and anthropology. Of course, this is all still only a demo as the HoloLens is currently in development. Though once it's up and running, the potential is endless. 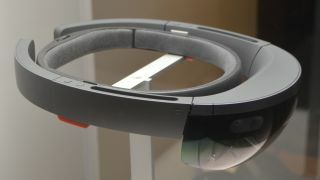 Check out the video below to see what the HoloLens can be used for in the future.